Mark Honig and Volker Woesner have called attention to an error on the cover of this booklet issued by Germany in 2006. Thanks to Volker Woesner for the scan of the booklet cover. 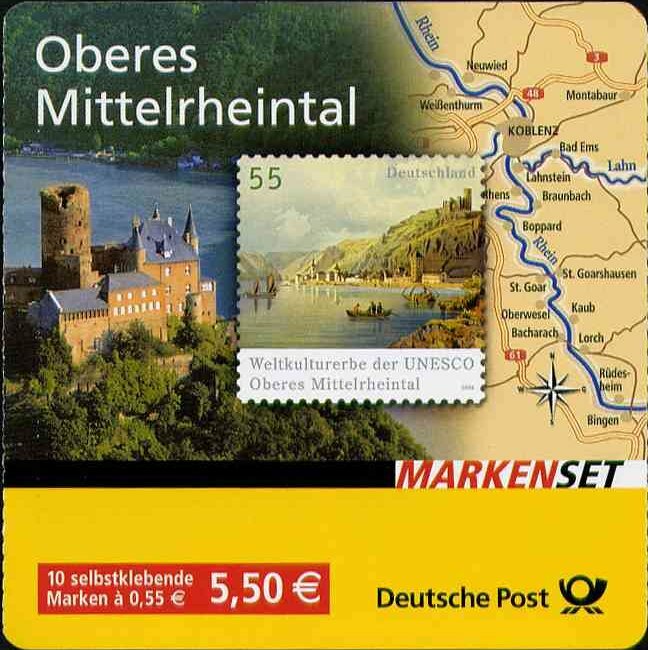 On the map on the right side of the cover the third town directly below Koblenz is Braubach which is misspelled Braunbach. The booklets with the errors were not withdrawn, but booklets with corrected covers were also issued.